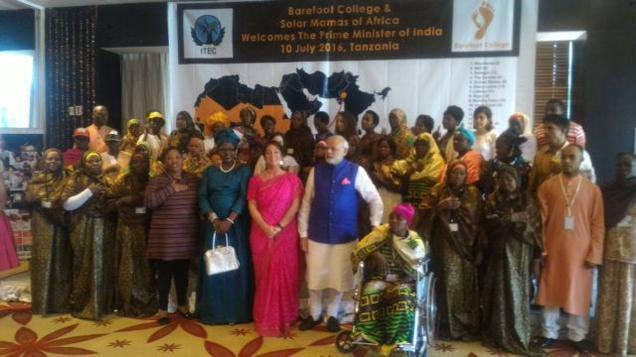 The Barefoot college is being talked about as Prime Minister Narendra Modi met with a group of 'Solar Mamas' during his visit to Tanzania. “The hardwork and dedication of the Solar Mamas impressed me. 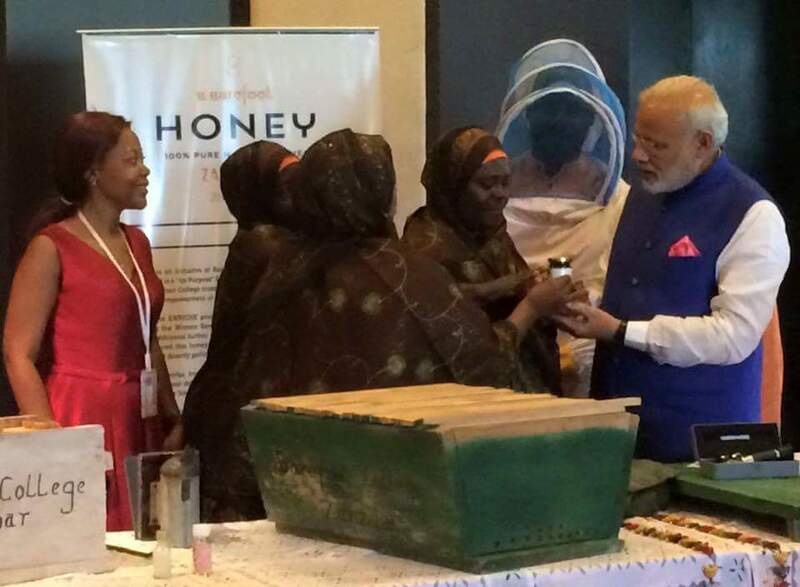 Enjoyed interacting with them,” says Prime Minister Shri Narendra Modi after meeting with Solar Mamas in Tanzania. 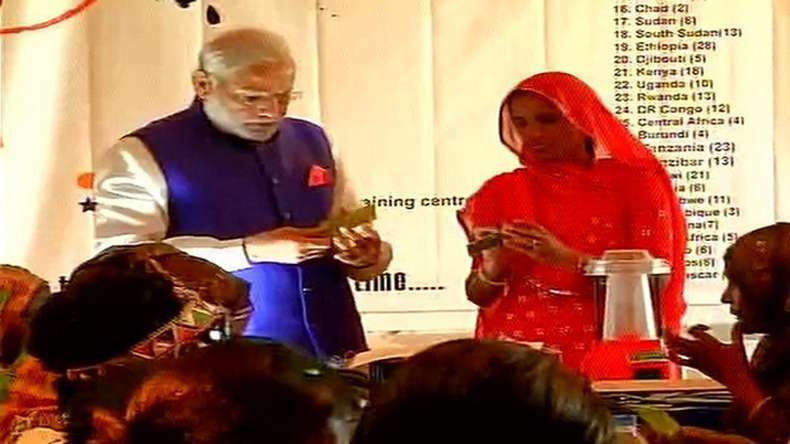 The PM interacted with each woman who has been trained to fabricate, install, use, repair and maintain solar lanterns and household solar lighting systems in their villages. Tilonia is a non-descript village in Ajmer district of Rajasthan in India. The village has been put on the world map by the efforts of a renowned social worker Bunker Roy. Bunker Roy started an NGO Barefoot College and since the founding of this NGO the village has become a role model for all remote villages who want to become economically and socially developed. The Barefoot College aims to provide knowledge and training to the rural poor to empower them to make their communities self-reliant and sustainable. 'Solar Mamas' are women from developing countries from African, Latin American and South Asian countries who have been trained in harnessing solar energy at the Barefoot College. 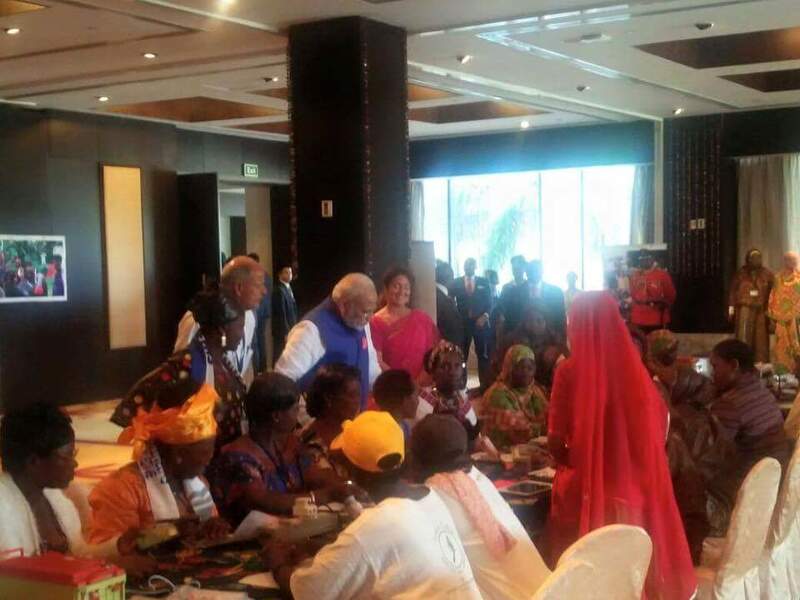 "Celebrating the Solar Mamas!PM interacts with women trained in vocational skills under India's developmental support," Ministry of External Affairs Spokesperson Vikas Swarup tweeted.